For centuries, our American forefathers fought for individual liberty, traditional morality, and a just government. Now, we are losing all three. Therein lies the rub. 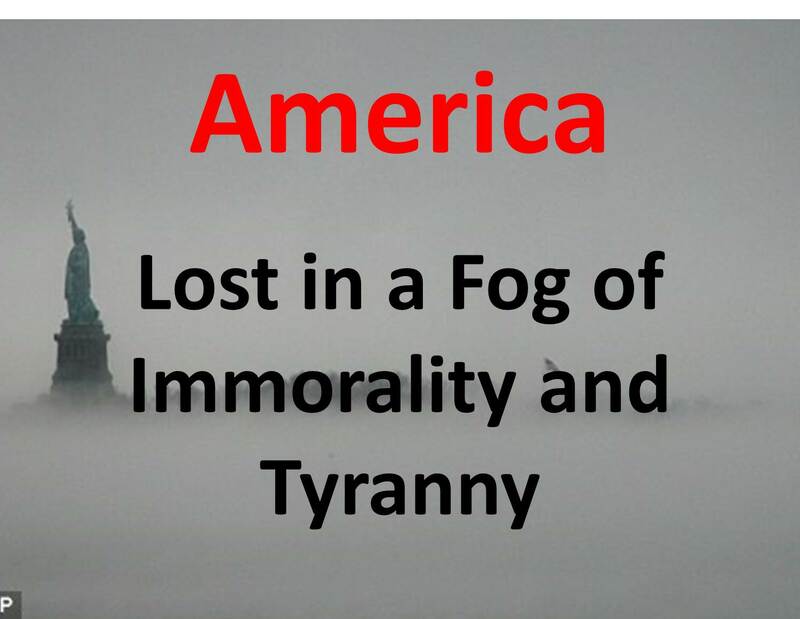 Human beings – being human beings – desire liberty for themselves but succumb to the temptations of ruling tyrannically over others. Hence, our Founding Fathers deliberate framing of a government divided among three branches (executive, legislative, judicial), geographically (federal, state, local), and otherwise. Now, we live in the worst of both worlds. The human temptation to exceed boundaries has proceeded apace for generations and has finally succeeded in tearing down those limitations on government, empowering the government to place unlimited limitations upon the People. This political role reversal has been accompanied by a similar reversal morally and spiritually. Alexis de Tocqueville observed: “America is great because she is good. If America ceases to be good, America will cease to be great.” Rather than be good, Americans have chosen – or had foisted upon them – a government which enjoins non-traditional immorality and proclaims itself the arbiter of the People’s will, irrespective of the People’s actual interests. We now have a culture without restraints and a government without restraints! This entry was posted in Uncategorized and tagged Alexis de Tocqueville, Andrew C. McCarthy, Ben Shapiro, David French, Founding Fathers, Framers of the Constitution, gay marriage, idolatry, immorality, John S. Roberts, Justice Roberts, Kevin D. Williamson, liberty, Obamacare, SCOTUS, supreme court, The Federalist, tyranny on June 28, 2015 by BrotherWatch. No one has a perfect marriage. Ask King David or our spiritual patriarch, Abraham. Jesus understands this. At that time, many looked for loopholes to their marital covenants. In his Sermon on the Mount, Jesus called the people of that day to a higher standard of holiness. Jesus has similarly greater expectations for us, and he offers us greater rewards – here and in eternity. 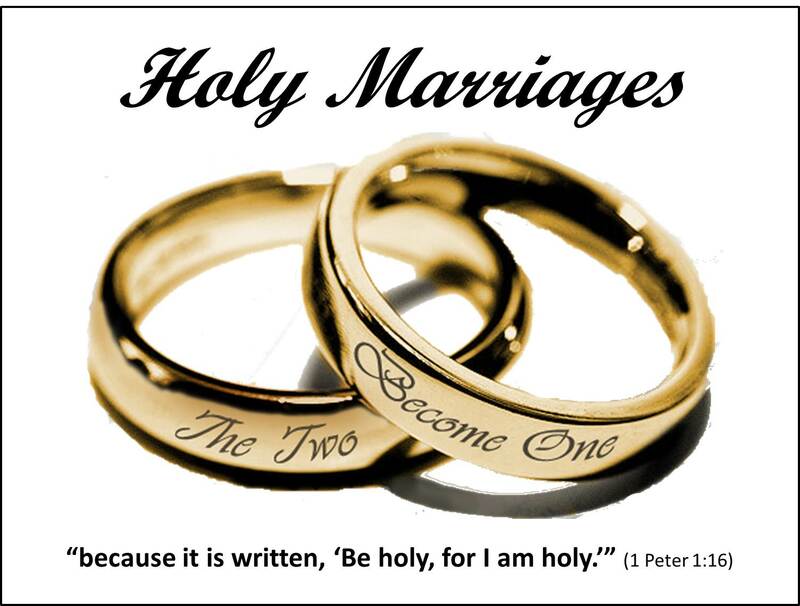 God expects us to live our lives in a holy manner, placing all things into subjection under him, including our marriages. God brings wholeness into our brokenness in a special way through marriage. We can enter into his presence at any time – through prayer and worship, Bible study and meditation – to understand his purpose for our lives and our marriages. Following Jesus daily – step-by-step – will bring greater meaning into our lives and our marriages and bring glory to God. Let us place our lives and our marriages on his altar. Let us pray the light and love into our lives. Let his glory shine in us and in our marriages. This entry was posted in Uncategorized and tagged 1 Peter 1:16, divorce, God’s glory, holiness, marriage, Matthew 19:6, Matthew 5:31-32 on June 25, 2015 by BrotherWatch. God’s glory shines in the darkest of times. 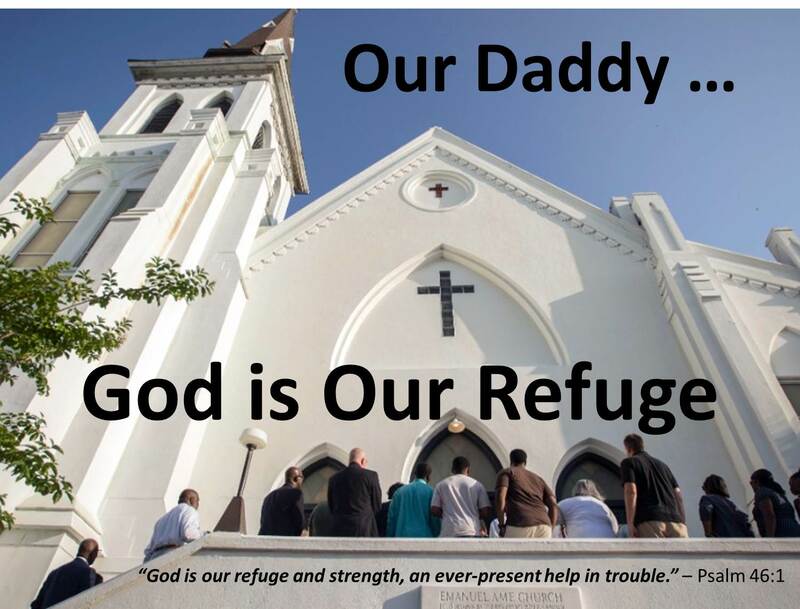 Last week, darkness descended for a moment in an historic black church in Charleston, NC, when nine children of our Father were killed by a white supremacist. Those victims of a madman are now in Paradise. Jesus was with them in Emanuel A.M.E. Church and they are with Him now in heaven. People of faith, hope, and love. In his message, given on Father’s Day, Goff noted that we are children of our heavenly Father, who is a God of love, and that we, as His children, are called to be a people of love. The psalmist wrote, “God is our refuge and strength, an ever-present help in trouble” (Psalm 46:1). All we are and all we do is for God’s glory and our Father’s greatest joy is that His glory shines forth in us. This entry was posted in Uncategorized and tagged Clementa Pinckney, Dylann Roof, Emanuel AME Church, forgiveness, God’s glory, gospel of love, Jesus Christ, Norvel Goff, Paradise, white supremacists on June 22, 2015 by BrotherWatch. 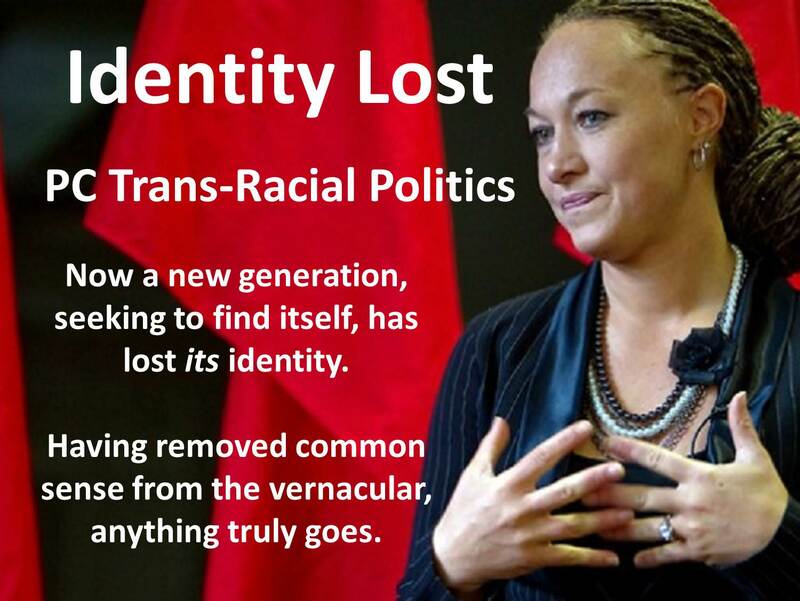 The escalation of Leftist identity politics continues apace with, first, Bruce Jenner’s alleged transformation into a woman (DNA does not lie) and, then, the discovery that a white NAACP leader has been masquerading as a black for many years. The root causes of these cultural phenomena lie in the 1960’s countercultural revolution, which stripped the nation from its cultural moorings, replaced objective truth with moral relativism and situational ethics, and gave birth to a nation of narcissists, beginning with the Me Generation. Now a new generation, seeking to find itself, has lost its identity. Having removed common sense from the vernacular, anything truly goes. This entry was posted in Uncategorized and tagged absolute truth, Bruce Jenner, common sense, countercultural revolution, identity politics, moral relativism, NAACP, narcissism, Rachel Dolezal, situational ethics, transracial, transsexual on June 16, 2015 by BrotherWatch. No one else noticed her, but Jesus commended this poor widow for her faith and generosity in giving all that she had – (what those around her considered of no value) – to God. Can you picture the face of her Father in heaven? The gleam in his eye as she honored him? Trusted him? Giving is not about the money; it’s an act of faith. This widow exhibited great faith in God and in His providence. She let go of all that she had. The proof of our faith is in letting go, too. 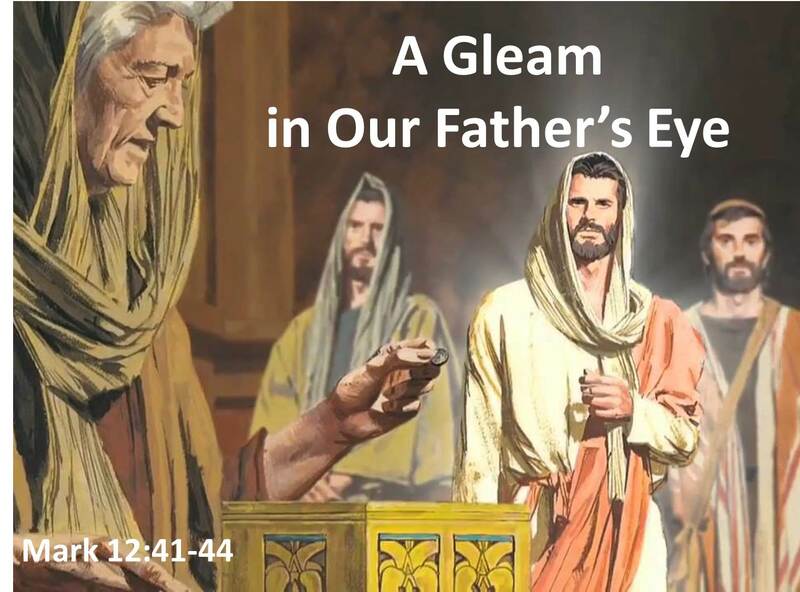 How can we bring a gleam to our Father’s eyes? We can begin by understanding that our lives are realigned and redefined by one relationship – with Jesus Christ. If we have Jesus, we have everything. If we believe that, nothing will be more valuable to us than God. Do we rely on God or on our possessions? Like the poor widow, do we give gifts to God that actually cost us? Or is our faith journey one without cost? If so, where is our faith? We can ask God how he wants us to sacrifice for him – and then do it. This entry was posted in Uncategorized and tagged faith, giving, gospel, heavenly Father, Jesus, offering, widow’s mite on June 10, 2015 by BrotherWatch. Have you ever wondered about who you are? About your identity? Jesus sheds light on our quest in his Sermon on the Mount. As salt, we are both a preservative (stopping spiritual and moral decay) and an added flavor (giving others a taste of the kingdom to come). As light, we point others to the source of freedom and security – Jesus Christ. Salt and light. That sounds like a tall order. But Jesus spoke in the present tense – “you are” – for a reason. We are salt and light precisely because Jesus himself – the true Light of the world and the Redeemer of mankind – lives in us. Our identity changed when we were born again. We went from being Christ-less to Christ-like. How? By being Christ-filled. We all began as “babes in Christ” and we are all somewhere on a spiritual continuum as we walk with Christ to become more and more like Christ every day. The New Testament is replete with exhortations to God’s people to live as people of God. Those who are called Christians should actually be Christ-like. Why? When the life of Christ is lived in us, we reveal Jesus to others. 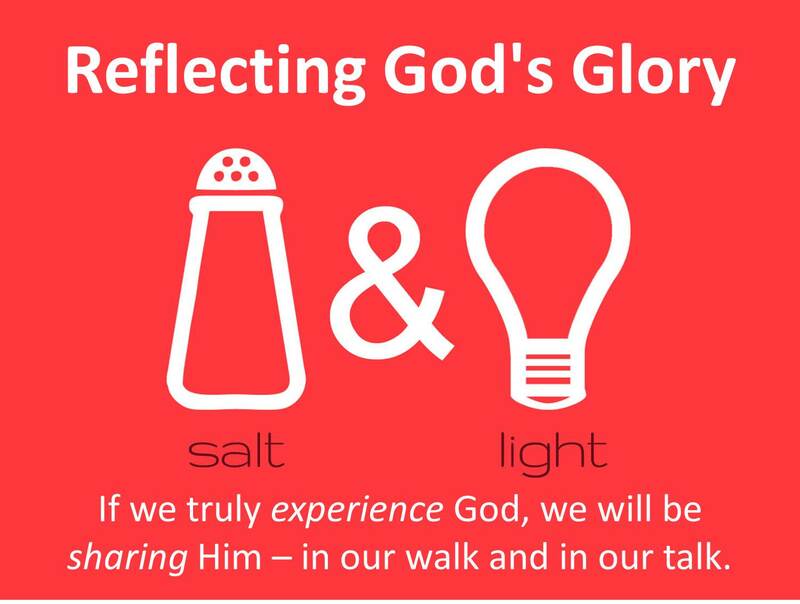 In other words, our lives should reflect God’s glory. If we truly experience God, we will be sharing Him – in our walk and in our talk. We do not belong to the night, we belong to the true Light of the world. Let’s do that starting today! This entry was posted in Uncategorized and tagged gospel, integrity, light of the world, proclamation, purification, purity, Salt of the earth on June 5, 2015 by BrotherWatch.